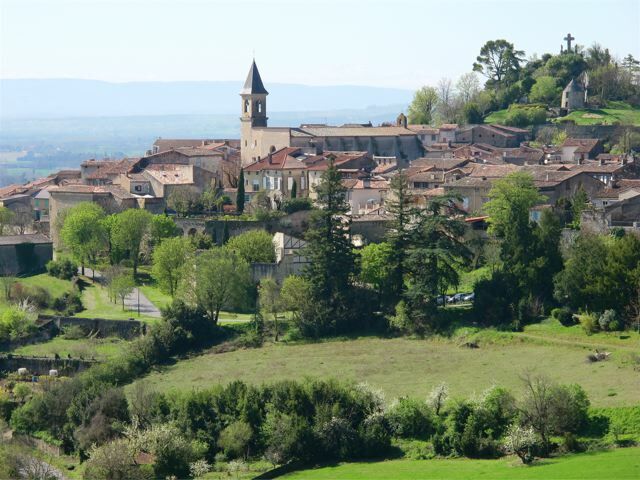 The bastide village Lautrec overlooks the Black Mountains. 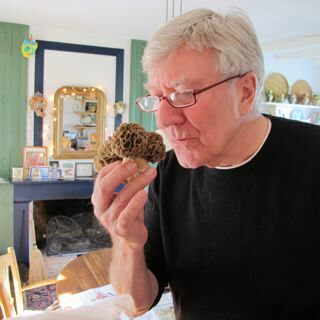 Testing the scent of some morel mushrooms that our neighbour, Alice, gave us. 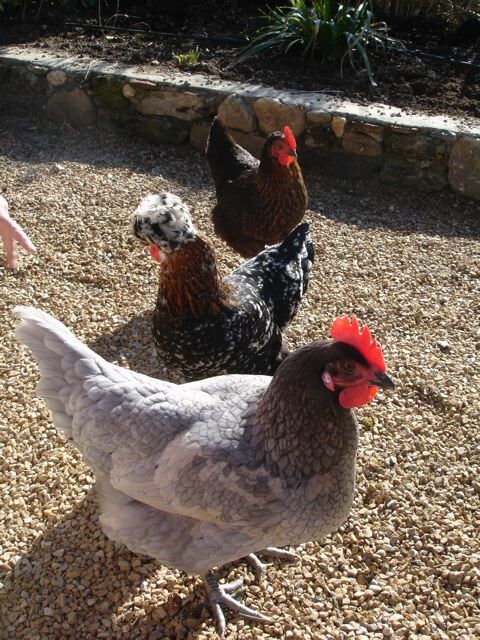 Our chickens are our source for fresh eggs. 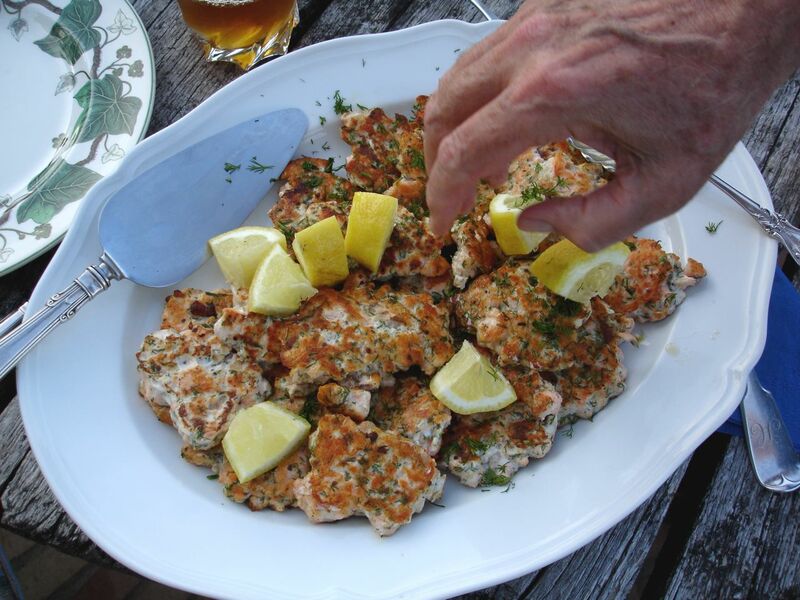 Salmon fishcakes (no potato) are a house specialty! 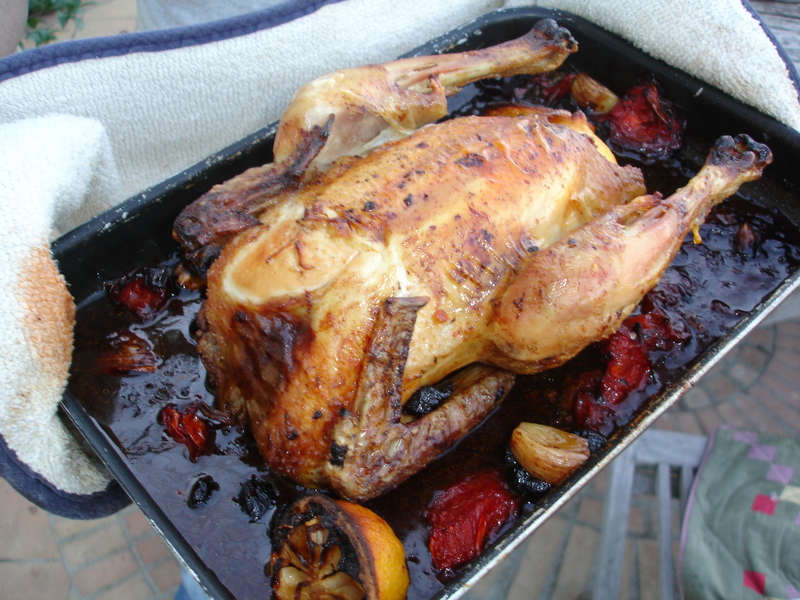 Roast chicken’s ready–but where is everyone? 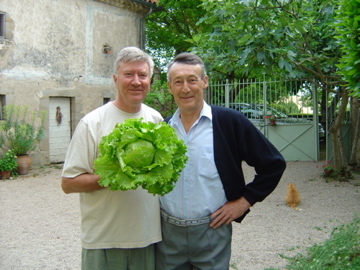 Our French neighbour, Hervé, brings over a lettuce from his garden. 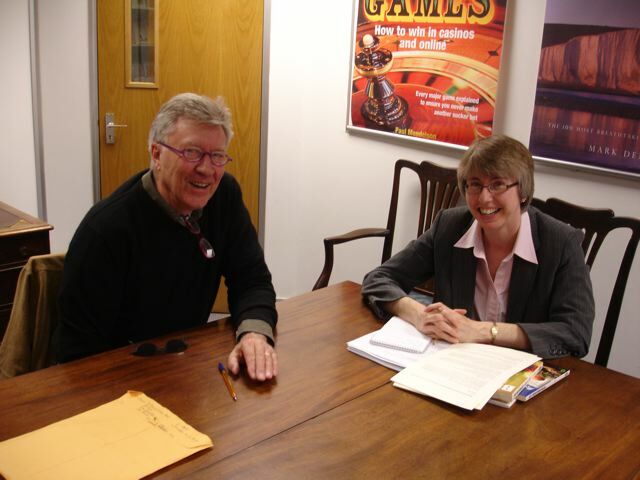 With the editor of his cookbook, Judith Mitchell at Constable & Robinson HQ in London. 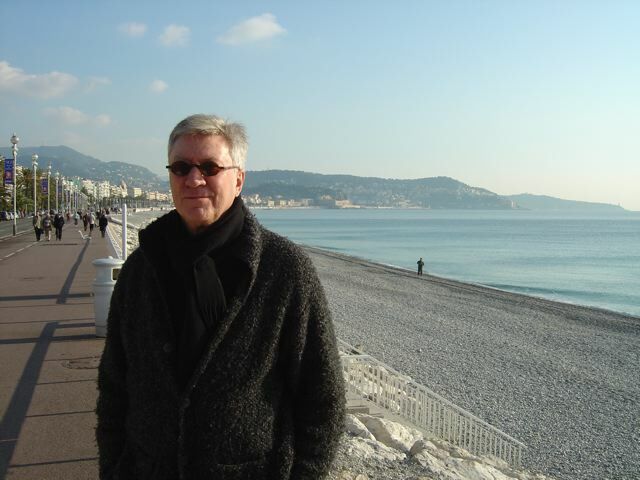 On the Promenade des Anglais in Nice, checking out the French Riviera. wot?? No pics of me cooking Daal?! seriously though – it all looks VERY nice. Next time we visit, Tari, I’ll have the camera ready. I’ll save the Daal post ’til then! The food looks excellent and I’m sure that it tasted just as good as it looks. So Lautrec overlooks the Black Mountains; my own home overlooks a Black Mountain (Y Mynnydd Ddu). I envy you your food festivals; none near here unfortunately and there ought to be. Are you going to be promoting your book in the US? It would be nice to see you again on TV – and in the movies. The book comes out in November in the States–I’m not sure yet how it will be promoted. What beautiful pictures with lovely colours of the countryside. I can see that you really enjoy cooking. Would be nice to see you on the cooking channel. PBS. maybe. 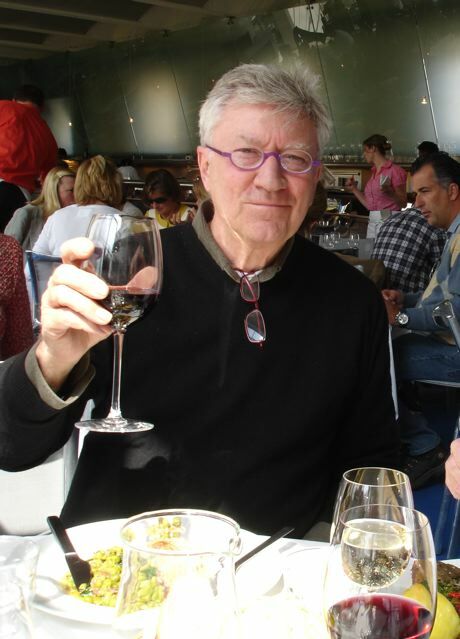 Nice to see Captain Mc.Neill (Poldark) Thanks for sharing the pictures on your blog. Regards to wife and brother. Mr. Ellis: Please suffer one more person who is enthralled by your acting. Now that I have found this space, I plan on viewing your acting work outside of Poldark. My father thoroughly enjoyed this series and passed his appreciation on to me. I am now watching it for the umteenth time and loving every minute of it, Also many thanks for your work on cooking for diabetics. 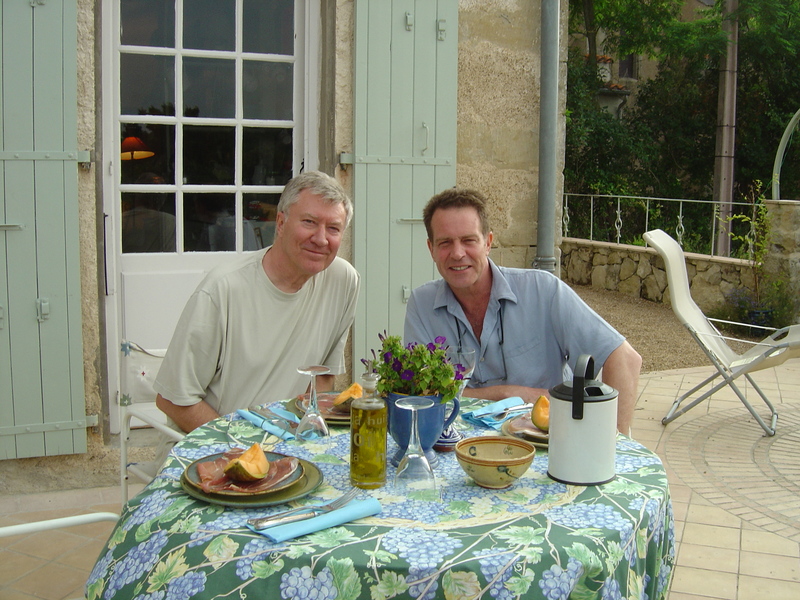 We will be having many of your recipes found online and when the cookbook is released in the US in November 2011. I am a big fan of Poldark and have watched the series many times. It is my favorite of all the series I have watched. It inspired me to even read Winston Graham’s novels. I am a type 2 diabetic. I have lost 38 pounds, work out and walk many miles on a treadmill. I have had to change my life style, but I think of it as changing it for the better. I eat healthier, exercise on a regular basis, and take better care of myself. My husband has lost weight too and exercises with me. He is very supportive and encourages me to eat well. I can’t wait to try the recipes in your cook book. It is always nice to try new foods especially delicious ones. Hi Shelley–congratulations first of all! What you’ve done is a wonderful achievement–and I take my “hat” off to you–and your husband. It’s so important that partners understand the condition and the need to take it seriously. I hope you enjoy cooking from the book. Mr. Ellis: I have followed your acting career since the Polkark series came to America and made our Sunday nights on Masterpiece Theatre a must for us. We too have diabetes in our family with both Type 1 and 2 in family members. But we go one step further in this diagnosis. We have MMD (Myotonic Muscular Dystrophjy) that has been passed down through the generations and only discovered in the family history in the past 8 years. Very little is known about this disease and physicians are learning right along with us as to its effects. DNA was obtained from my children and myself and I am the carrier. The major side effects in order are, heart, diabetes, lungs, and muscular problems. There are many websites regarding the disease. Our son is a Type 1 diabetic and is in his early 40’s. He is doing well but is not always in good control of his blood sugar. 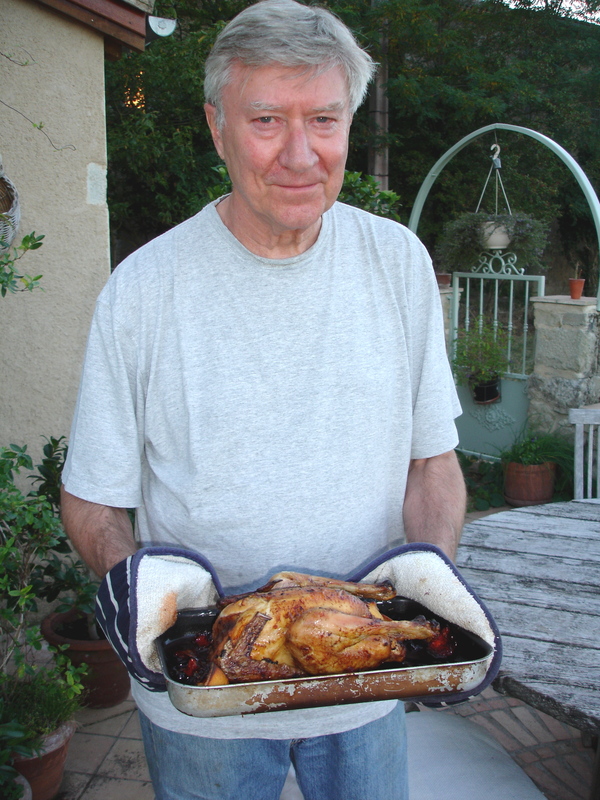 Your wonderful diabetic cooking helps me to plan meals for him and his family when they visit. Thank you! Fall is beautiful here in Colorado and offers many wonderful harvest treats to present to the table. 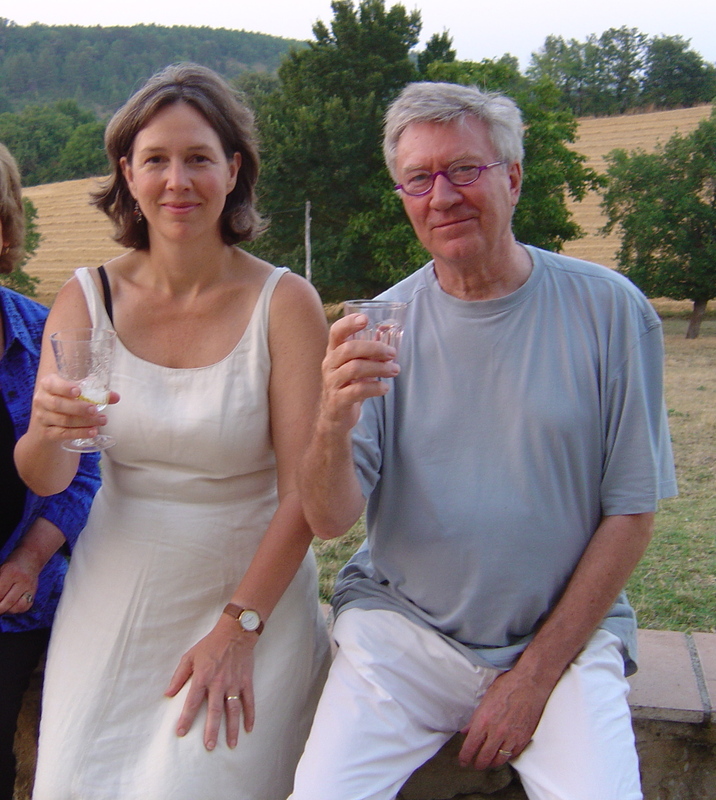 Thanks, Linda–what a story! I had never heard of the condition, it is obviously very difficult. I’m glad you feel you can use the recipes to help. I shall look up MMD and learn. Hi Robin I am so glad to see your are alive and healthy; I am just now enjoying watching Poldark again after 30 years. Around Episode 8 now and found myself woindering where you had gone off to. Good job writing a cookbook for diabetics it is much needed. Half my family is diabetic and it’s really an epidemic here I think. Now I will google Angharad Rees and hope to find her equally well! Hello Jackie–I’m glad to hear it held up to ep. 8! I threw someone in a horse trough around that time–maybe ep 7! “Poldark” is one of my favorite TV series of all time! I can’t thank you enough for Captain Ross Poldark and his adventures. I can honestly say that Ross was an example for me of a man who struggles through the hardships of Life, plans thwarted, dreams shattered, heartache, and loss. He was an example of the honest, compassionate, giving, self-sacrificing, ambitious man. Nothing compares to those last words he says to his wife on the beach at the conclusion to Part 1. I only wish I could knock on the door to the old house, have lovely Demelza answer the door, and sit down with Ross in front of the fireplace to discuss the Revolution in France. Thank you, Robin, for playing the part of Ross to perfection. Blessings Always. Thanks, Chris–your remarks are much appreciated. I remember I used to long to be Demelza….I was in my mid-late teens at the time….the gorgeous Ross and the scenery captivated me! Now we live in the west country – Somerset rather than Cornwall, but have relatives in Cornwall and visit as often as we can. I have just (last week) been diagnosed with Type 2 and am still getting to grips with it all – by myself and with the aid of googling, which is how I found your blog and book (which I’ve ordered from Amazon), as I have yet to see the diabetic nurse – appointment next week. 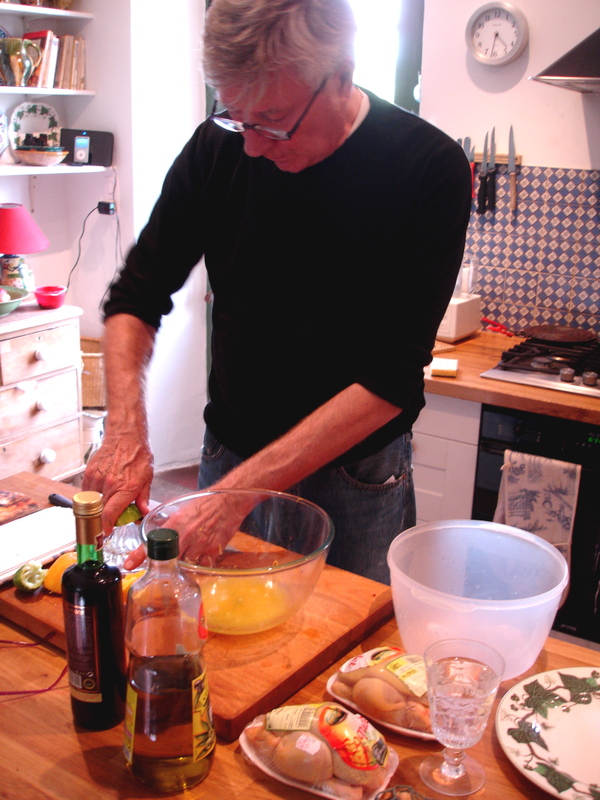 I love cooking and was initially dismayed to think I couldn’t cook lovely things anymore – but of course I can, as your posted recipes have shown. Have already found lots of conflicting ideas about how/what diabetics should eat, so to say I am rather confused is putting it mildly. However, it does seem common sense to limit carbs, although I understand this is not the line the NHS takes! (whyever not?). Thank you for your inspirational cooking, I can’t wait to receive the book, am watching for the postman every day. Hello Sooze–and I’m sorry to hear about your diagnosis. You do seem well placed to start dealing with it though. It’s a big advantage that you like to cook. For me the carbohydrates’ do’s and don’ts are straightforward. I cut out refined carbs like white rice, white bread, white pasta and substituted unrefined ones like basmati brown rice, rye bread, and wholewheat pasta eaten in moderation. I find the GI(glycemic index) and GL(glycemic load)measures helpful guides–there is a post about them on my blog. Anyway–you are on the road and I wish you well. In general I don’t feel deprived, nor will you I hope. Thank you for your lovely reply Robin. I’ll have to read the bit on the blog about GI and GL, I know next to nothing about them. You mention rye bread, do you make it yourself or buy it? We have an organic baker near us. He makes 100% rye, so I’m lucky. I was just wondering what had happened to you as I have just been watching the Poldark series again on DVDs that I recently acquired. It was my favourite programme in the 70’s and I am still glued to the screen! I’m glad that I’ve found this site as the diabetes advice is very useful for my husband. Robin, I met you at the Poldark reunions in London in the 90’s, still love you and Poldark – one of the very best series on TV – good to see Captain Blamey! Glad you are doing well with the cookery books, a great help to many people. Very best wishes to you and your wife. Thanks for the kind words and the good wishes, Jennifer–good to hear from you! Darling Robin, allow me to call him this way. I write to him(her) from Madrid, the capital of Spain. I know him since it(he) interpreted the series Poldark. Magnificent series, very well set and very good his(your) action(performance) or interpretation. Congratulations for his your work. I have found him in this blog casually, it has been a surprise wire brush for me. I see that he(she) likes the kitchen(cuisine), like to me. You have a good aspect, I am glad. Health for you and his family. I have type 2 and reverted back to my grandmothers med diet with success. I must say your website is fantastic. 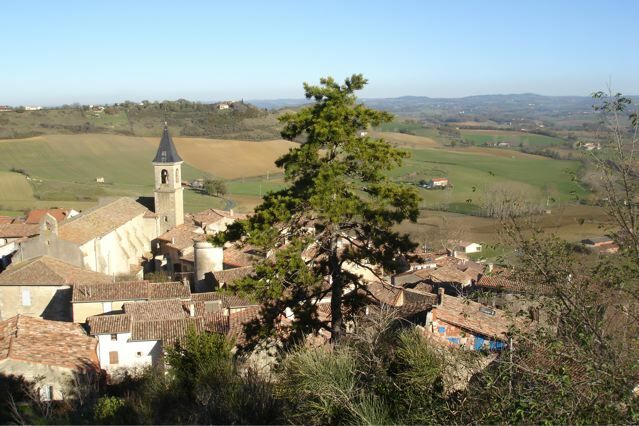 I was in Provence last year for the summer and shall return there and Tuscany again on business. Kudos to you on your mission Robin. Thanks Dennis–your grandmother was a wise being! Thank you Robin. We grew up pre-styrafoam and plastic wrapped super duper market processed fare. Veg, fish, meats, dairy and poultry was chosen fresh and live in neighborhood shops. 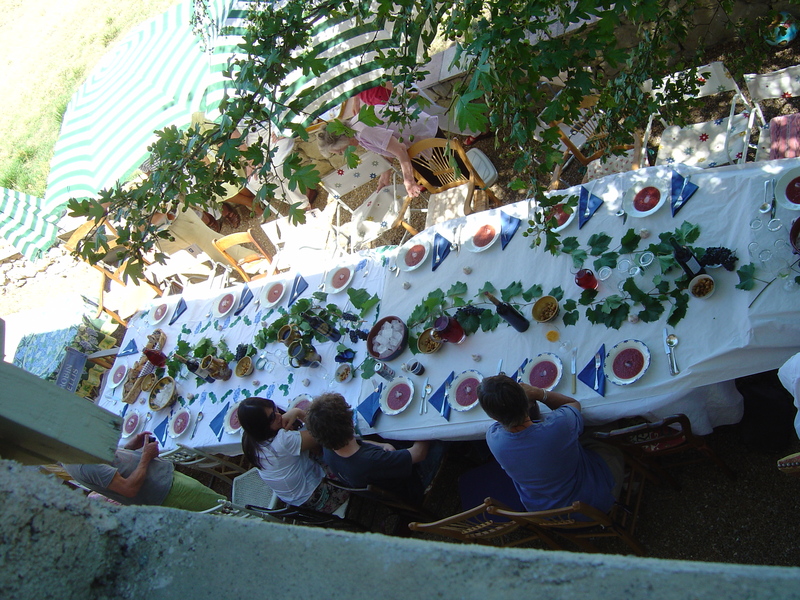 Grandpa had his famous Italian garden with the most delicious tomatoes and eggplant, homemade vino, herbs. We were poor as most people were post WWII and much of a med diet over centuries I do believe revolved around produce in season and was really peasant food. I ate very well until trapped by today’s mega marts – which I now shun. 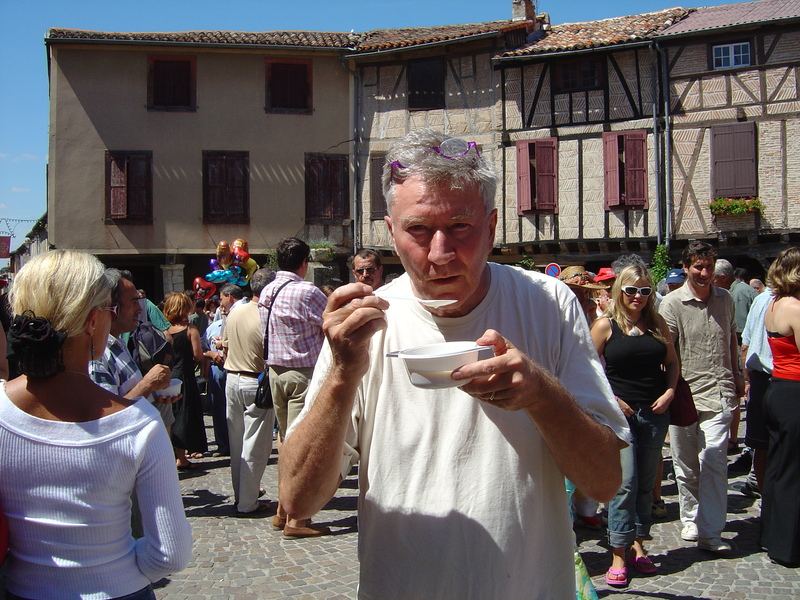 When in Salon de Provence or Aix I cooked meals strictly from the open air or special shop markets. Your book is on my list!!! Today I shop only for ‘select products’ and stretch my food budget. One can eat superbly these wonderful dishes! Select what is in season, and what you can touch and smell. And so easy to prepare as you know. (now they mega market everything ‘Artisan’ and it is still awful .. hahaha) PS: the pictures on the site are wonderful. Great pictures. Your wife is lovely.